There are things that people look forward to every year. For filmmakers and film lovers all over the world, the Slamdance Film Festival is one of the most awaited events of the new year. The Slamdance Film Festival aims to provide recognition to independent filmmaking while also promoting these films to an international audience. Operating under the mantra of “By Filmmakers for Filmmakers”, the festival supports filmmakers by giving them the opportunity to showcase their works on an international platform. The festival takes place in the exquisite snow-capped mountains of Park City, Utah. Slamdance is held every January, around the time of the more famous Sundance Film Festival. The popularity of the Slamdance Film Festival has paved the way for the creation of the Slamdance Studios, the annual Slamdance Screenplay Competition, and the Slamdance on the Road, a theatrical showcase of Slamdance films which travels around the USA to screen films to audiences who would not otherwise have the chance to see them. For its hard work, the Slamdance Film Festival has earned the respect and support of several prominent institutions, such as the Writers Guild of America West, the Directors Guild of America, Black Magic Design, Different By Design, G-Technology, The Screening Room, Variety Magazine, Slug Magazine, American Cinematographer, Movie Maker, Distribber, Game Jolt, Independent Filmmaker Project, and many more. 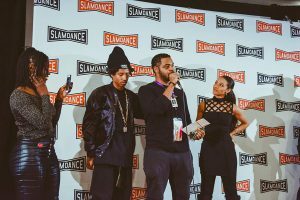 With its dedication to discovering breakthrough films by up-and-coming filmmakers, the Slamdance Film Festival has managed to successfully premiere several films which have later on become world famous. Among these Slamdance discoveries were directors Christopher Nolan (The Dark Knight), Jared Hess (Napoleon Dynamite), Marc Foster (Quantum of Solace), Seth Gordon (Horrible Bosses), Benh Zeitlin (Beasts of the Southern Wild), Oren Peli (Paranormal Activity), Lena Dunham (Girls), Lynn Shelton (Your Sister’s Sister), and many more. This January 2019, the Slamdance Film Festival celebrates its 25th anniversary with the unveiling of the new Breakouts Section for the film categories. This section is dedicated to directors who show exceptional talent in filmmaking. The Slamdance Festival committee is proud to announce 18 premieres, including four first appearances from North America and the United States, as well as 10 international debuts from Brazil, Argentina, Belarus, Italy, Germany, India, Poland, South Africa, Kenya, and the United Kingdom. Some of the films for the Narrative, Documentary, and Breakout feature line-up have already been revealed. These include Dollhouse: The Eradication of Female Subjectivity from American Popular Culture (Narrative), The Vast of Night (Narrative), Sudan: The Last Male Standing (Documentary), The Professional: A Stevie Blatz Story (Documentary), Demolition Girl (Breakout), History of Love (Breakout), and many more. In 1995, Dan Mirvish, Shane Kuhn, Jon Fitzgerald, and Peter Baxter attempted to join the prestigious Sundance Film Festival. Unfortunately, this group of revolutionary and lively filmmakers was not accepted. These four filmmakers, together with co-conspirator Paul Rachman, created the very first Slamdance Film Festival in Utah called Slamdance: Anarchy. Since 1995, the Slamdance Film Festival has been held almost simultaneously as the Sundance Film Festival, with a more pertinent focus on independent filmmaking. In 1997, Peter Baxter has been in charge of the festival. In 2005, the festival screened Mad Hot Ballroom, the American documentary film by Marilyn Argrelo. This film was then bought by Paramount Pictures, becoming the most expensive independently produced feature-length documentary ever. In 2007, the festival presented the premiere of The King of Kong: A Fistful of Quarters by Seth Gordon, which later on became a world-renowned documentary and was bought by New Line Cinema. In 2008, Slamdance has first screened Paranormal Activity by Oren Peli. This film broke the box office records during its movie theatre run from 2009-2010. In 2010, Slamdance has partnered with Microsoft for year-round festival programming on Xbox and Zune. 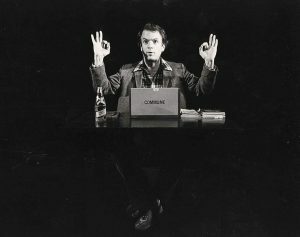 During the same year, the first Filmmaker Summit was launched to create new means of storytelling and work distribution through media and technology. The 16th Slamdance Film Festival also screened the world premiere of And Everything is Going Fine by Steven Soderbergh. And Everything is Going Fine by Steven Soderbergh. The fame and reputation of the Slamdance Film Festival worldwide spread like wildfire. By 2011, the festival received more than 5,000 film submissions. During this year, Slamdance has collaborated with top film schools all over the US to create the Student Initiative Program to provide the better appreciation and training in independent filmmaking. The Slamdance Film Festival launched the Slamdance TV in 2012 to promote new talents in the independent filmmaking scene. 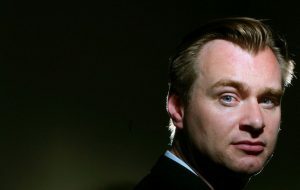 In 2014, the 20th Slamdance Film Festival was attended by famous directors and festival alumni Christopher Nolan and the Russo Brothers. In 2015, the festival premiered Batkid Begins: The Wish Heard Around the World by Dana Nachman. This was later acquired by New Line Cinema. During the same year, James Franco and Scott Foundas of Variety Magazine led the special event called “Coffee With”, to discuss the aspects of DIY filmmaking. Each year, the Slamdance Film Festival receives thousands of submissions and these films are categorized under the following categories. The festival offers the Slamdance Sparky Awards, or the following awards for films in competition, as well as the following special awards. Russo Brothers Fellowship Prize- This is a $25,000 cash prize given to the chosen filmmaker and will be under the mentorship of Anthony and Joe Russo. The Slamdance Film Festival has partnered and made Withoutabox as its official platform for film submissions. You could visit Withoutabox’ website if you need more information on the festival’s guidelines for film submissions. The deadline for film submissions for the 2019 festival has already passed, so stay tuned for updates if you wish to enter your film into the 2020 festival. For all other information about Slamdance—film festival, film catalog, schedule of events, the screenplay competition, tickets, and passes, you could visit the www.slamdance.com. The 25th Slamdance Film Festival will run from January 25-31, 2019.